Corrugated pipe sealing globe valve is the introduction of foreign advanced technology, the use of foreign metal bellows sealing technology, high-performance flexible metal bellows, the expansion of fatigue life is particularly long; completely eliminate the common valve stem packing seal leakage aging shortcomings, Lug Type Butterfly Valve, Adjusting Valve, Electric Adjusting Valve, Pneumatic Adjusting Valve, Bottom Valve, Bellows globe valves not only increase the use of energy efficiency, increase the safety of production equipment, reduce maintenance costs and frequent maintenance, but also provide a clean and safe working environment. Bellows sealed shutoff valve is suitable for pipelines of various working conditions in petroleum, chemical, pharmaceutical, chemical fertilizer, electric power and other industries. It is used to cut off or connect pipeline medium. Looking for ideal Bellow Seal Globe Valve Manufacturer & supplier ? We have a wide selection at great prices to help you get creative. 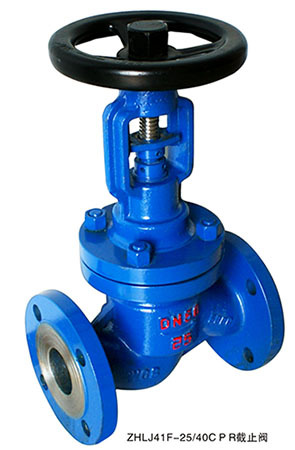 All the YY Bellow Globe Valve are quality guaranteed. We are China Origin Factory of DN50 Globe Valve. If you have any question, please feel free to contact us.